There is plenty of video content floating around the internet, but there may be no video publisher as creative, multi-functional and – quite simply – complex as Complex Networks. What began as a print-only publication has expanded into a 360-degree, multimedia platform and one of the most aggressively video-centric content aggregators. A joint venture between Hearst and Verizon Communications Inc., Complex Networks consists of a portfolio of youth and pop-culture digital media properties targeting Gen Z and millennial consumers, including Complex, Rated Red and Seriously.tv. This stable of brands generates over 800 million video views per month with a combined social media following of more than 75 million users. A key component of the company’s success has been a customer-first ethos, as we discovered in an interview with Complex Networks CEO/Founder Rich Antoniello in this installment of our Video Center of Excellence Q&A series. Every publisher seems to be pivoting toward video, so how do you distinguish yourself? 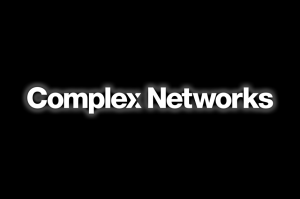 At Complex we have always had a long-term strategy of putting the consumer first. A lot of publishers are doing it under duress. When you do something under duress, you rarely apply a unique and differentiated strategy. Those publishers are chasing volume and big numbers – premium CPMs and more dollars from a video perspective – but we focus on putting good content out there. A lot of the publishers are text-based organizations, yet not every topic translates well to video. The questions to ask yourself are: do you have a strong enough audience to support video? Do you have a YouTube presence? We are pop-culture oriented, so in our case the answer is ‘yes’ to both questions. Complex doesn’t play it that way. We have a young audience. We’re a youth culture brand, with 80 percent of our audience’s content consumption on mobile. Instead of trying to fit a platform, we buck the system. We’re not doing what most digital publishers do with video (30-second content or 45-second content). Our audience wants long, premium content from us and so our average video content is 18 minutes and 43 seconds long. Interesting, that sounds a bit like running a cable channel. Exactly. We make content that is OTT and linear-ready, and we program the way you would on a linear cable channel, with 33 weekly or daily shows. That’s like programming for primetime five nights a week. We look at 7-day cumes, so if we average 10 million views over the first 7 days of a show, that’s a larger audience than most cable programs get. How much do the agencies and/or marketers you work with influence video creative or content? Very little. Branded or sponsored content is important for us, but we rarely create a show on behalf of an advertiser. We never want to be in a situation of doing a commercial for an advertiser that won’t get organic views. We want to create a great experience that people want to come to, while integrating advertisers into existing content. We try not to concept a show for an advertiser; instead we put the interests of our audience first. What are the challenges you face with regard to publishing video content as often as you do? We want to make sure we have text content to support the high volume of video, and consequently, we want to make sure we have enough overall content. The audience is conditioned to watch more mobile video. We have organically changed that mix. We put out a little more video, a little less text every year. So with all the platforms, categories and topics under our umbrella, finding the balance of text and video is the challenge. How do you (or your clients) judge the effectiveness of video? We try not to play the view-count game. With the amount of organic sharing our audience does with our products, there is a massive social push. It’s not just about buying standard pre-roll. The advertisers are interested in organic social sharing, aka influence. We are really a brand company and a higher-quality brand play than a digital publishing company. Putting the consumer first allows for more scale and makes advertisers happier because the audience itself is part of our organic amplification system. What standards and practices has Complex established for video? The one thing we always do – the one rule we apply – is that we are consumer-first. We ask ourselves: is this video content differentiated for the consumer and exciting for them? The only boundary I put on the team is that we want an original, differentiated product. You don’t want to be a copy. You can’t put rules on yourself from a creative standpoint. What’s on your watchlist of Complex programming that we should be watching this year? I watch everything, but my top three shows would be: “Sneaker Shopping” with Joe La Puma, “Hot Ones” with Sean Evans and “Jobs Unlisted” with Speedy. Tell us one thing we wouldn’t know from your LinkedIn profile. I’m a serial entrepreneur. I’ve taken a lot of my own learnings from building Complex and am investing in start-up companies and entrepreneurs that I find exciting. These are the next generation of leaders that need to be supported. Keep following along for more interviews in the coming weeks!